To enhance our Chrysler 300c Stretched Limousines and Chrysler Sedans we have added another new model Chrysler Limousine. This Chrysler 300c Limousine is fully loaded with all the possible extras a Chrysler Limousine should have as well as a Jet Door. We have left nothing to spare in this Chrysler Limo and with its expansive interior this Chrysler Limo can accommodate 13 passengers. Our fully uniformed chauffeurs will offer you personalised and friendly service on your special day. All vehicles and drivers are fully licensed by the Victorian Taxi Directorate. We establish relationships of trust with our customers and strive to bring them the very best Melbourne experience possible. In addition to special occasion services and wedding party limo services, we also provide Limos for those events that include birthdays, baptisms, school formals, debutants and many more events. We are proud of our professional chauffeurs and competent staff who are prompt, friendly and eager to assist the needs of our loyal clients. 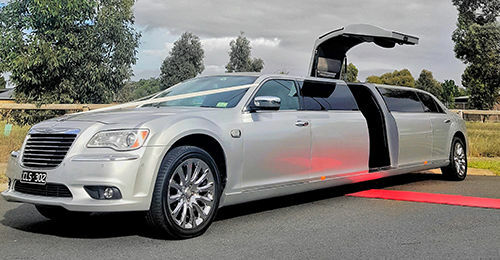 Cassars Chrysler Limo Hire Melbourne has always carefully prepared cost effective solutions to your Stretch Limousine and Wedding Car Services. 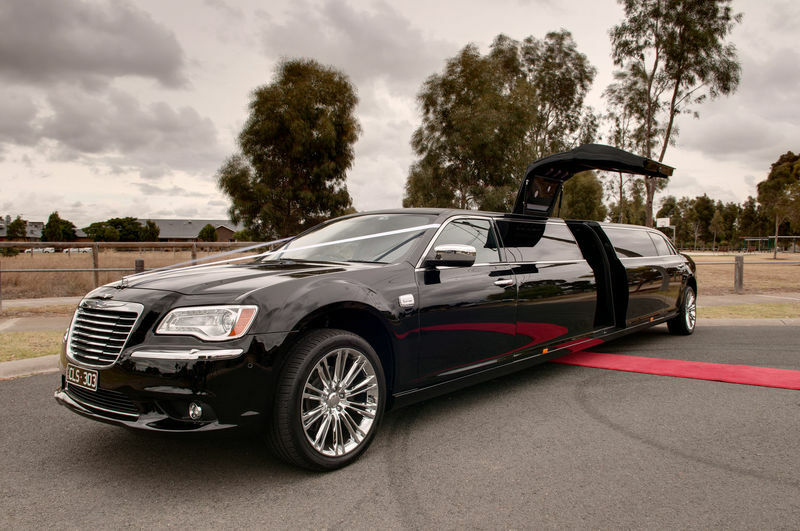 Imagine arriving to your destination in one of the newest Super Stretch Chrysler Limousines of Melbourne. The Jet Door opens and the red carpet is rolled out as you stand & step out of this Luxuriously appointed Limousine. Your guests will truly be amazed with this latest technology of the jet door for easy access. Step inside onto the fully lit disco floor, which is complimented with a full disco & starlight ceiling including colour tubing , laser, strobe & bar lighting. You will be blown away as you sit back into the luxurious leather seating opposite a fully equipped bar & 3 x flat TV Screens. The entertainment system is second to none so bring along your own music or DVDs to take advantage of all that is on board. You have control of all lighting, climate control, privacy divider & driver intercom from a touch screen in the rear. 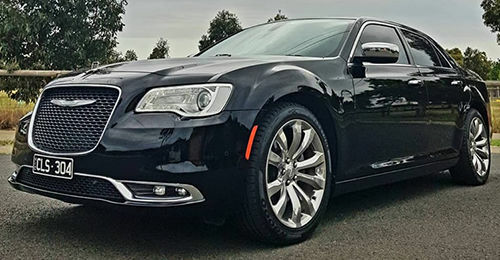 Look no further for one of the best looking and fully appointed Chrysler Limousines in Melbourne. This Chrysler Limousine will definatly turn heads as Cassars Limousines Chauffeur you around. 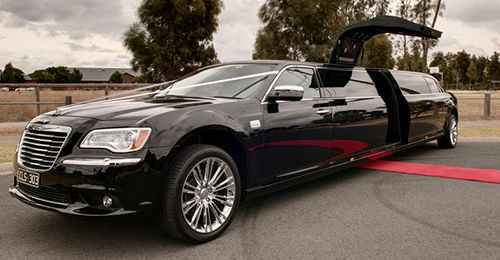 At Cassars Limousines we offer you some of the most luxurious vehicles in Limo Hire Melbourne. 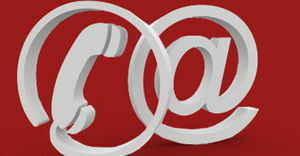 We pride ourselves in giving you the cutting edge in transportation service and limo technology. Our limousines are the Ultimate for any event requiring a Limo Hire Service in Melbourne for Weddings, Debs, School Formals, Hens & Bucks Nights, or just a night out on the Town, or any special event you might be planning. 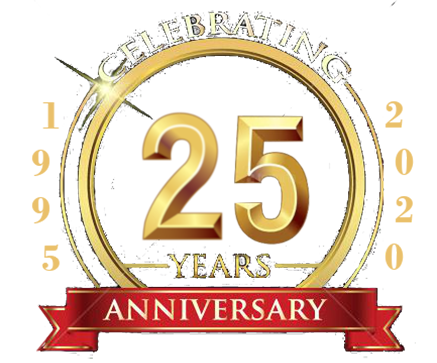 Cassars Limousine Service pride ourselves in providing the ultimate service making your special day one to remember. Our Service is second to none. You can have the formality of a Chrysler 300C Sedan or for a larger group, the luxury of our Chrysler 300C Super Stretch Limousines with jet doors. 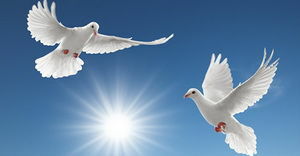 Complimentary on all of our wedding services are, champagne, red carpet service, White Dove Release and in some of our packages, a FREE After Reception Transfer. Consider the Chrysler 300c sedan as a great getaway car after the Wedding reception for the married couple, or you might prefer our Luxury Limousine. 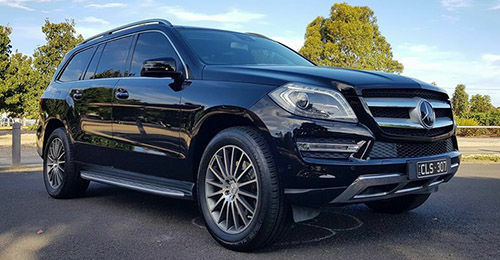 It is our pleasure to provide you the ultimate Limo Hire Service you deserve with comfort and luxury in our Super Stretch Limousines & Sedans. Imagine travelling to your school formal or debutante ball in one of the newest Chrysler 300C Limos jam packed with all the newest features you would ever imagine possible in a Chrysler Limousine. 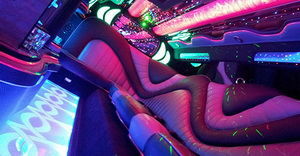 The luxurious interior with tube, laser and strobe lighting, flat Screen TVs, touch screen control, disco floor makes this the ultimate party bus you could ever imagine possible in a Chrysler Limousine. Then upon arrival the stylish jet door being opened as you step out into the crowd, you will be the envy of your friends and guests with this Chrysler Limousine. 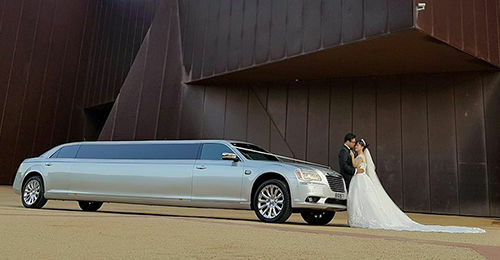 Cassars Chrysler Limo Hire Melbourne are the specialists with school formals & debutante balls in Chrysler limousine hire in Melbourne. What a great way to show your friends the sights of Melbourne in a Chrysler Limo touring you around. 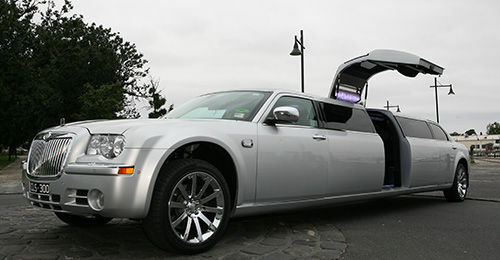 This is the way to go especially in the ultimate luxury of the Chrysler Limo or perhaps our luxury sedans. Sit back, relax and enjoy the scenery as you are chauffeur driven around. What's On Guide & Directory for marvellous Melbourne! Chrysler Corporation, now called Chrysler LLC, was founded in 1925 by Walter P. Chrysler. At the time the two major Automotive companies were General Motors Corporation & Ford Motor Company. It did not seem as if economic room existed for a third major corporation. The depression of 1921 started many small independent automotive companies to dissolution and the great collapse of 1929 brought these smaller automotive companies to an end. In 1924 a new car was exhibited in New York, the Chrysler 70. Walter P. Chrysler had decided to challenge the giants, and, in so doing, became a giant himself. The Chrysler 70 was extremely well-engineered with a seven-bearing crankshaft. This was one of the first users of high compression. When the new car was launched Chrysler spared no time in expanding what was now named the Chrysler Corporation. Chryslers sudden growth empire was mainly due to Chryslers insistence on quality and engineering progress. In the 1930's customers were more interested in the technical features of the vehicle rather than the chrome or the color of the upholstery. The reliable performance of the Chrysler cars was perhaps the main reason for their increase in sales. By the end of the thirties the Chrysler Corporation had passed Ford and was now in second place. The new industrial giant was solidly established.